TATIANA BILBAO, the 2016-2017 Donghia Designer-in-Residence, led nine Architecture/Landscape/Interiors juniors and seniors in a one-week project, “Xochimilco,” between March 16 and 21, 2017. 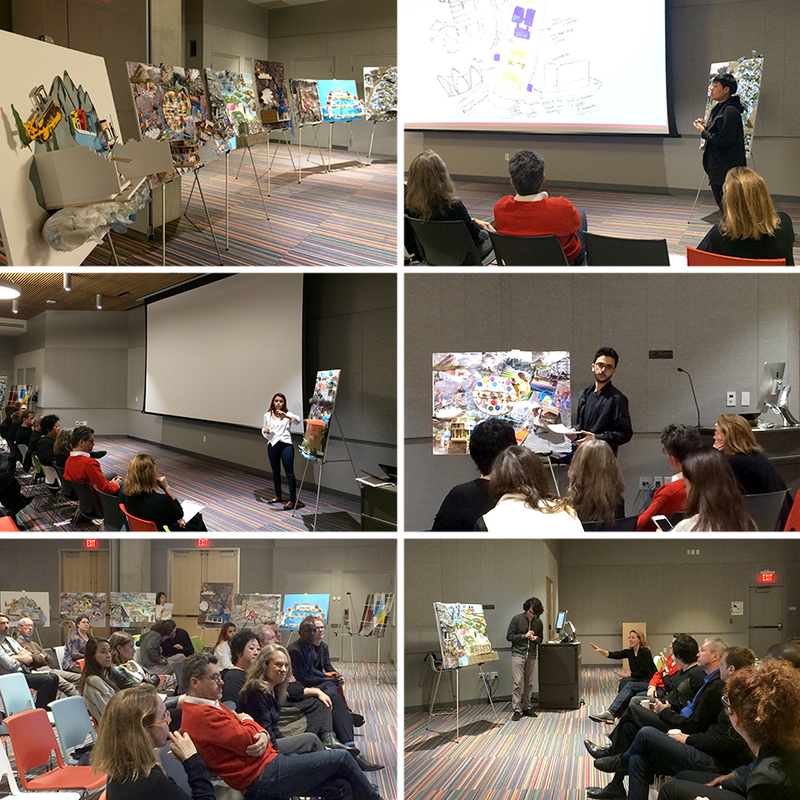 On March 22, 2017, Donghia students presented their Master Class projects to a jury consisting of: Valery Augustin, Principal, DNA | Architecture + Design; Annie Chu, Principal, CHU+GOODING; Frank Clementi, Partner, Rios Clementi Hale Studios; Chava Danielson, Principal, DSH \\ architecture; Ed Ogosta, Principal, Ed Ogosta Architecture; Nick Seierup, Design Director, Perkins + Will, Los Angeles; and Ingalill Wahlroos-Ritter, Principal, WROAD. 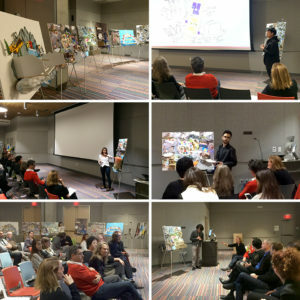 Donghia students Billal Ashai, Erim Ayhan, Michael Chen, Juan Febres-Cordero, Josselin Garcia, Ibrahim Ghulam, Pinky Lam, Sally Park, and Wei Qiu each presented a large format collage that represented their proposal for “responsible urban regeneration, that would maintain Xochimilco’s historic legacy as a place of farming and recreation while adapting it to a symbiotic relationship with the encroaching urban tissue,” as assigned and directed by Tatiana Bilbao.